How to use aromatic herbs and flowers to elevate and transform any dish—and any DIY body and beauty product. Here's how I know I'm in the right place: The sun yawns across my back as I reach for another bouquet of aromatic mint, basil, rosemary, lavender. I bury my face in their leaves and buds. Scent envelops me, a suggestion of the soup, pesto, juice, body scrub to come. It's just the farmers' market, but it's magic—I'm in the epicenter of urban culinary potential, the birthing place of inspiration for my new book, Kale & Caramel: Recipes for Body, Heart, and Table. Kale & Caramel is filled with aromatic herbs and flowers that will elevate and transform any dish—and any DIY body and beauty product. This biodynamic approach to food and body care (translation: what I eat I can also use to care for my skin, and what I use on my body is pure enough to eat) keeps me energized and inspired in my kitchen and home. Kale & Caramel features a bounty of dishes, drinks and DIY beauty treatments made from eight herbs (basil, cilantro, fennel, mint, oregano, rosemary, sage and thyme) and four flowers (lavender, jasmine, rose and orange blossom). The book explores the origins, flavor pairings and subtle healing properties of each, taking a deep dive into the world of plants as allies—the power that beckons me to them in the garden, at the grocery store and, yes, in spring and summer markets, no matter where I am. Here are some of my favorite, unique ways to use herbs and flowers with recipes from Kale & Caramel. Rosemary lends a rootsy, herbaceous elegance to sweetness and mellows the tang of citrus, elevating these Sweet Orange & Rosemary Creamsicles to unexpected heights. 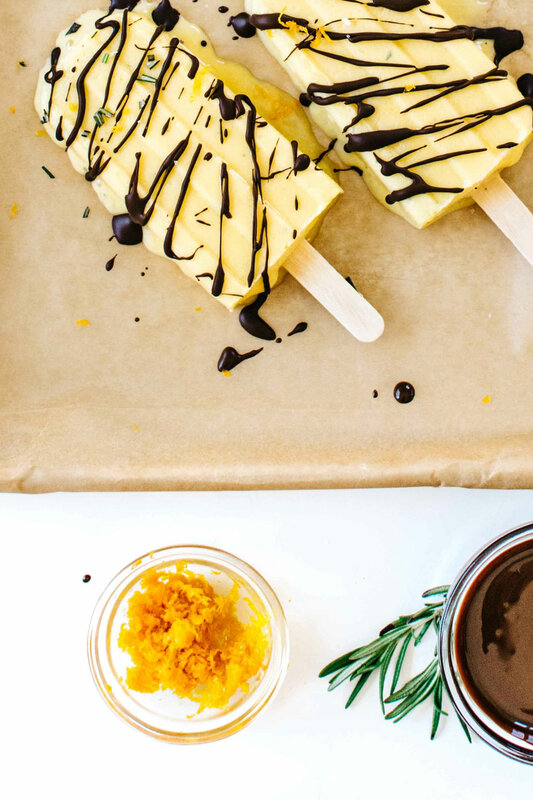 These summer-ready citrus ice pops incorporate rosemary-infused honey and luscious Greek yogurt that's pure heaven with the rich edge of dark chocolate and sea salt. Other rosemary flavor pairings to try: Nuts, cheeses, root vegetables, winter squash, citrus, apples, pears, maple and chocolate. 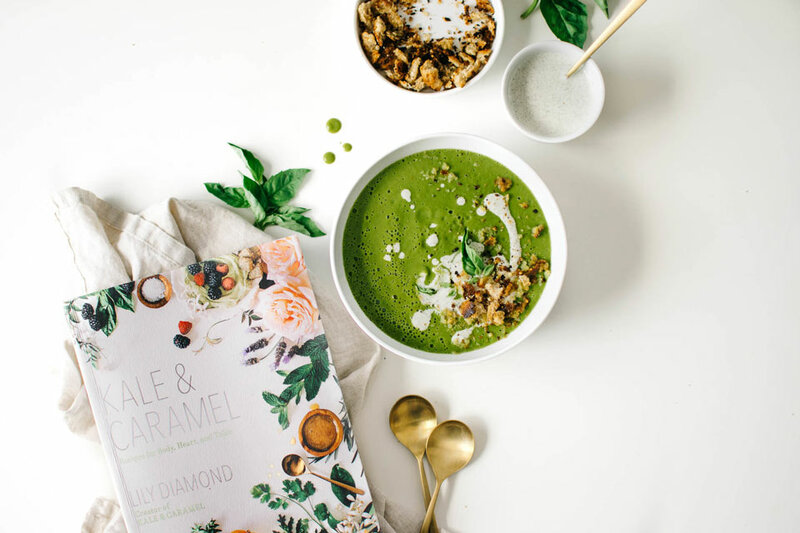 Pictured Recipe from Kale & Caramel: Zucchini Basil Soup with Creamy Hemp Swirl & Garlicky Breadcrumbs. Basil sings a sweet and easy song with bright, green flavors like zucchini. Blend it into Zucchini Basil Soup with Creamy Hemp Swirl & Garlicky Breadcrumbs that's as green and fresh as it gets. This creamy spring-to-summer soup is excellent warm or chilled, is totally plant-based and gluten-free-optional. Other basil flavor pairings to try: Tomatoes, eggplant, feta, olives, olive oil, zucchini, eggs, mozzarella, pasta, corn, garlic, chickpeas, strawberries, watermelon, citrus, honey, ice creams and sorbets. 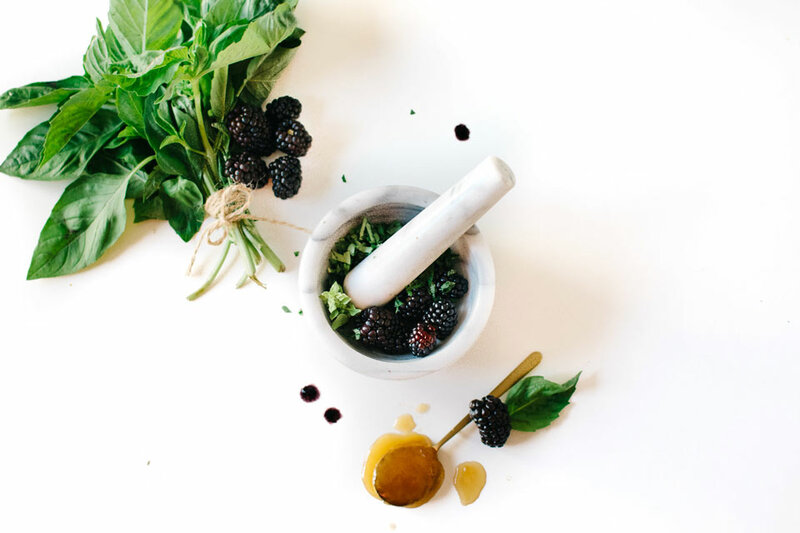 Pictured Recipe from Kale & Caramel: Blackberry Basil Healing Mask. Basil's vibrant green and strong fragrance inspires joy. Incorporate it into a Blackberry Basil Healing Mask, which only requires three ingredients. This raw honey–based face mask delivers a soothing glow. 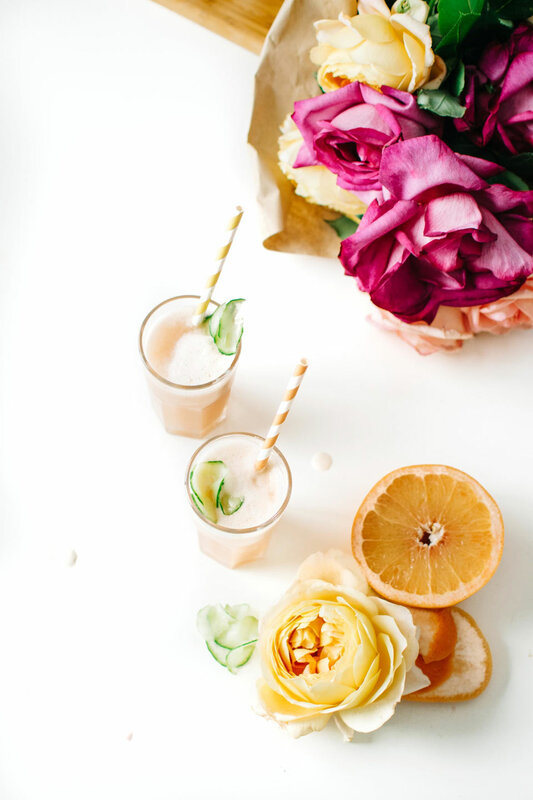 Pictured Recipe from Kale & Caramel: Pink Grapefruit Cucumber Rose Skin Quencher. Rosewater, made from distilled rose petals, captures the potent sweetness of the flower and inspires ease and compassion with its scent alone. Blend it with tender pink grapefruit and cucumber in this Pink Grapefruit Cucumber Rose Skin Quencher for a juice bursting with hydrating citrus and cucumber. Other rose flavor pairings to try: Cumin, cardamom, root vegetables, cauliflower, vinegar, honey, pistachio, amaranth, watermelon, citrus, berries, yogurt, vanilla, caramel, butter, chocolate and stone fruit. All photos are Copyright © 2017 by Lily Diamond from KALE & CARAMEL: Recipes for Body, Heart, and Table, published by Atria Books, a division of Simon & Schuster, Inc.